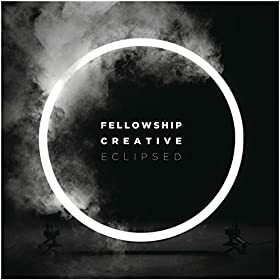 Having already released their label debut album Running To Follow in May 2014 via Fair Trade Services, worship band Fellowship Creative are definitely a collective of worshippers to keep an eye and ears out for. With their debut album comprising of plenty of upbeat and slower paced worship melodies for the church and for personal worship, since then the worship ministry released their follow up independent EP The Mix: We Will Riot as well as the live EP Alive In Us EP. Born out from Fellowship Church, which was founded in 1990 by Pastor Ed Young, the worship part of the ministry has always been revolving, with the label debut album on Fair Trade Services and the EP which released in September 2014, showcasing many young and up and coming artists’ song writing and vocal talents, while also pointing people to God and His love. As Fellowship Creative promote diversity in age, ethnicity, skill level, Biblical knowledge and many more, the result on the next full length album Eclipsed, which drops this week, are sounds that transcend many different styles, with plenty of rockers, ballads, both female and male fronted tracks as well as each track bringing something new and fresh to the table. With this new band reminding me in style, lyrics and vocals of Hillsong Young And Free and Desperation Band, Eclipsed is a must-listen for some inspirational and encouraging melodies, that are diverse musically as it is lyrically and thematically. A look down the tracklist shows us a couple of familiar songs. The energetic and celebratory hymn like melody “Grace On Top Of Grace” was previously released on Alive In Us EP, and is led by powerful synth, with the mid-tempo track is filled with hand claps and a vibrant energy that makes me want to jump up, dance and praise God for who He is. Though the lyrics are simple, with the chorus reminding us that ‘…hallelujah I am free from the sin and penalty, at the cross You took my place, with Your grace on top of grace…’, we are presented with an earnest, joyous occasion where the band declare that Jesus’ grace when He dies on the cross and rose to life is what has freed us from sin and made us holy and blameless in His presence. With the enthusiastic vocals reminding me of Mark Stuart, formerly of Audio Adrenaline, this is one of my favourite songs on the album. The last old but new song is the personal, honest and emotional piano led melody “Jesus Is Alive”. Driven by keys, we are provided with a vivid account and depiction of Jesus’ death and resurrection, and the reason why we can live in relationship with Him, praising Him forever because He ‘…died upon the cross, rose up from the grave, seated in the heavens, King of all You reign, I’m captured by Your love, that You would give Your life, oh I stand amazed that Jesus is alive…’. Jesus is alive, and that fact should make us fall more and more in love with Him and be more and more grateful and thankful that we are alive in Him. Well done Fellowship Creative for these 2 songs of God’s eternal truth! The rest of the 9 songs, while brand new, remind us of the band’s heart for Jesus, and encourage us in pursuing God deeper, and actively being more in a relationship with Him. Album opener “The Moment” employs impressive electronic effects and remix-y beats, as we are presented with a metaphoric testimony/salvation story of how we all come to Christ being described as ‘…the moment we awake, come feel your heart burst into flames, shine light the sun in brilliant rays, this is the moment now…’, with bands such as for KING & COUNTRY and Abandon being channelled musically and vocally; while synth and keys prominent hymn/country like hand clap ballad “Jesus Our Hope” is a joy to listen to, as we are reminded that Jesus is our hope, our forgiveness, and that He has won the war, so we can be free in Him. With banjo, electronic drums and a southern gospel and country atmosphere employed, this worship anthem is one of the most adventurous and ambitious songs the band has recorded to date. Contrasted with the acoustic guitar led reverent and intimate ballad “Stars”, a Tree 63 and Delirious? vocal influenced melody, which paints God as the perfect author of all creation, of all the stars in the universe, as we confidently declare that ‘…all I need is You, I give all, all of me, to You…’; and we are shown the musical and thematic versatility of Fellowship Creative, a trend that continues as the album progresses, as the band musically experiment with a variety of genres. Though generic in its title, and somewhat musically (as the song never really crescendos or grows to an epic crescendo! ), the piano led mid-tempo worship anthem “Never Giving Up” is anything but generic in its subject matter, gently reassures us, providing us hope that God never gives up on us, even in our toughest times. While the aptly titled “Caution To The Wind” does exactly that- it’s a rock song that throws caution to the wind! With a vocal similar to Aaron Gillespie, the head banging electric guitar led rocker (with synth added in for variety and a trip down nostalgia lane in the 80’s!) praises Jesus for everything He’s done, and encourages us to ‘…get up, c’mon let’s go, Jesus the only thing I’ll ever need is Your love, it’s overtaken me, I can’t believe I’m free…’. The beautifully written and sung radio friendly piano led ballad “No Escape” is next, and we are presented with one of the strongest songs on the album. Vocally and lyrically, the band is on point, and we are eloquently reminded of God’s relentless love and devotion for us, that Jesus pursues us over and over, and that there isn’t any escape from the unrelenting presence of the One who made us and holds us dearly. Sure to provide us with healing and a realisation of God’s faithfulness, the ballads continue with “Lead Me” (no, not the Sanctus Real mega-hit! ), with Fellowship Creative passionately and ardently asking God to ‘…take my heart into Your hands, Your ways are higher than I understand, one thing I ask, one thing I seek, Lord lead me…’, as we enter into communion and fellowship with our Maker, asking Him to lead us into the paths He wants for us. The penultimate song on the album, the title track, brings to the fore plenty of electric guitars and synth, as we are shown a mid-tempo worship anthem, that brings to the fore the notion that God eclipses everything else, that everything else in this else is worthy of being eclipsed by Jesus, because of everything He is, and what He’s done for us; while it is the emphatic and sublime album closer “Holding Onto You” that really captures my attention. Standing tall at nearly 8 minutes, Fellowship Creative brilliantly convey the message of God being the only thing in this world that we can rely, depend and hold onto. As we are gently reminded of the fact that ‘…You give me faith that doesn’t break, You give me trust that doesn’t move, I am holding on Your word, I am holding on Your truth, I am holding onto You, You give me hope to climb this mountain, and all the strength to not let go…’, it is the spontaneous free worship for the last half of the track that ‘makes’ the song in my opinion, as the band’s worshipful heart takes on a whole other meaning, and definitely in a good way! Well done Fellowship Creative for 11 songs of heart, and passionate devotion to Christ! With such variety musically, vocally and lyrically (how many vocalists are present here? More than two, that’s for sure, and they are talented! ), Fellowship Creative have recorded a fantastic follow up to their label debut! Though while their anonymity in personnel and members, as they have a revolving door of musicians, staff and singers attached to this project and previous independent albums, could mean that the band doesn’t individually receive recognition for their God breathed anthems that they so deserve; this notion of not knowing the band members has led me to listen to the song lyrics a bit more and soak in the presence of God, something which was probably one of the intended goals of Fellowship Creative. As this new album Eclipsed continues to further tighten the group’s refreshing sound, and also has me applaud Fair Trade Services for signing the group in the first place; I definitely look forward to new material from this musically diverse and genre diverse band of sisters and brothers in Christ! Well done Fellowship Creative for matching the bar that was set high, let’s hope they can match it on their next album! Great album rating, excellent album review. I love reading album reviews however most of the reviews I read hardly capture all the songs on the album; they just talk about the highlights of the album. The most interesting thing about reading any album review on this site is getting to have a feel of all the songs even before they are heard.